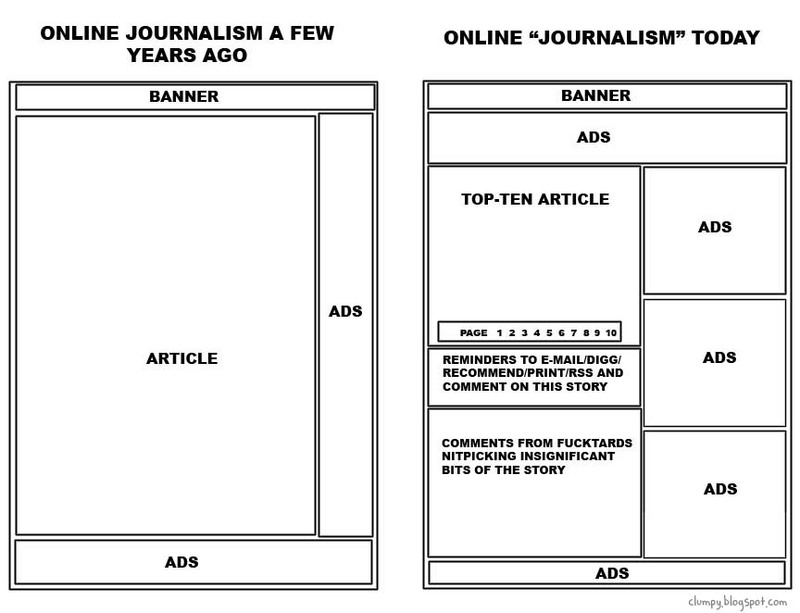 via Online Journalism A Few Years Ago vs. Today [PIC] : pics. Damn you, with all your unecessary auto-refreshing stupidity, and your completely retarded pagination system. This is why I’m not afraid to use AdBlock Plus.